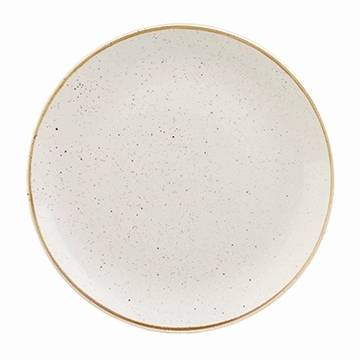 Churchill's Stonecast Barley White pattern will add an earthy yet rustic element to your table presentation. Each piece in this pattern is hand-decorated for an individualized touch of natural charm while the superior glaze finish maintains appearance and protects against staining and metal marking. Additionally, the super vitrified body reduces breakage and will not absorb moisture of any kind.